Flame Pool Alpacas is an alpaca farm located in Westminster, Maryland owned by Kathy Graziani. Over the summer we will be adding products getting ready for the fall season. Check out the Events page for our fall shows. 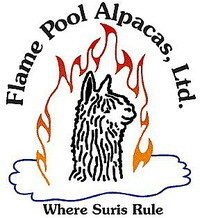 Flame Pool Alpacas specializes in Suris. The elegant suri with lustrous fleece is what drew me into the industry. The fleece. Its softness and luster. The Suri Network slogan "Rarest of Breeds...Ultimate Natural Fiber" sums up the reason I am in the alpaca business. It's a small farm with big goals! 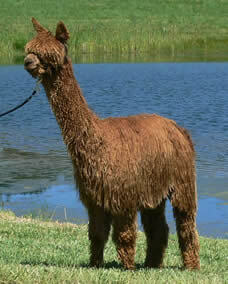 My continuing goal is to breed alpacas with correct conformation and excellent Suri fiber. The herd includes some of the best genetics in the country: MacGyver, Accoyo Crown Royale, Pucara Kahuna, Uribe, and Cantano of Peru to name a few. Please browse the site and see what Flame Pool is about. Feel free to contact me if you have any questions about alpacas in general or a specific alpaca. I love talking about alpacas!